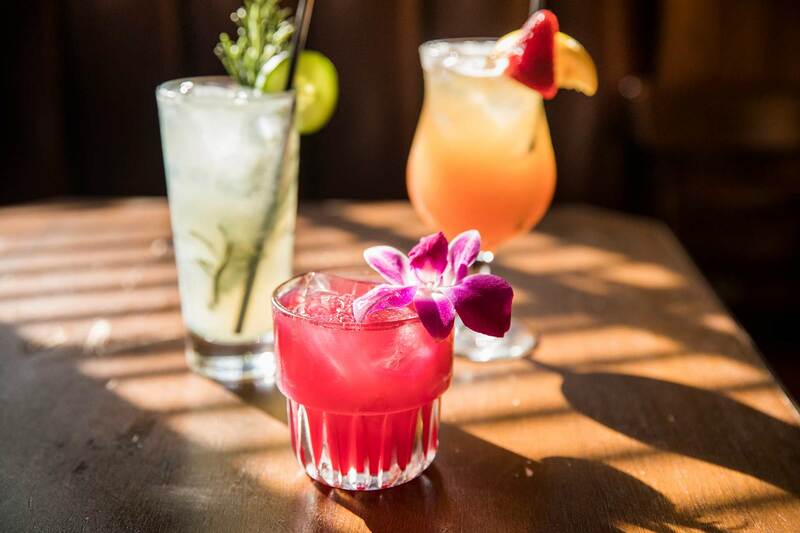 Ah, summer — it’s when happy hour takes on a whole new vibe, when the sunlight softens and invites you to chill after a hard day with a cool drink in hand. 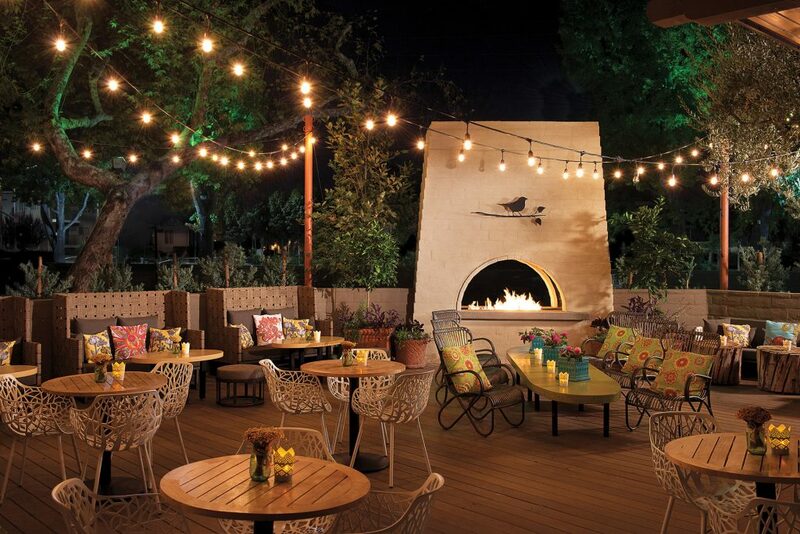 So do Toluca Lake area restaurants and bars, many of which have patios where you can luxuriate al fresco. And because it’s happy hour, you can drink and eat well for less, enjoying settings that range from the tropical to the sophisticated. 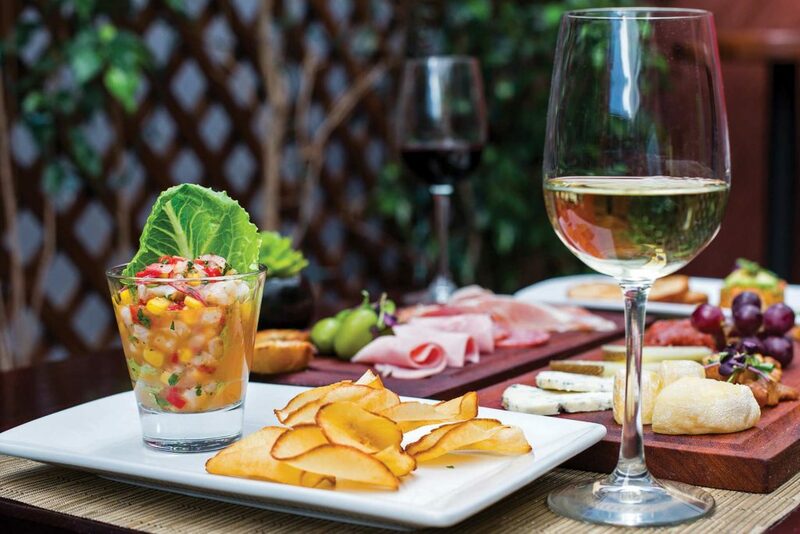 Find a happy hour below to suit your tastes and budget, and raise a glass to celebrate summer. 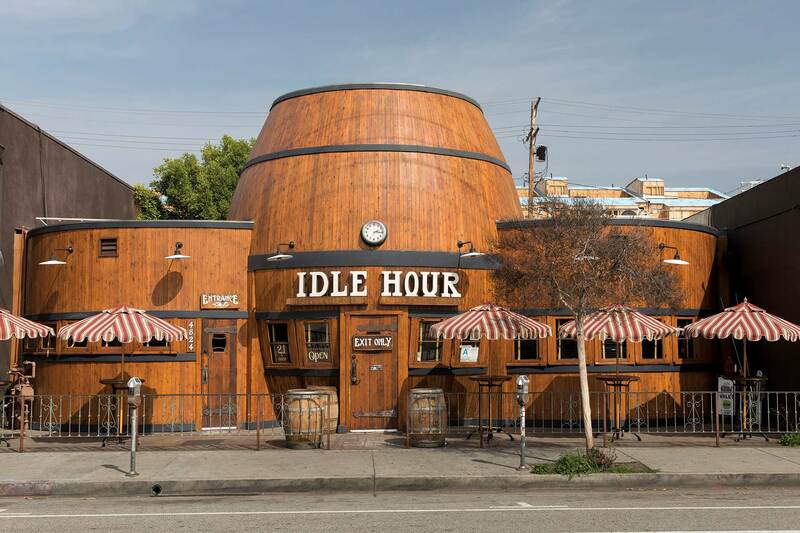 LANDMARK Idle Hour was built in 1941 in the shape of a barrel to attract passing motorists. 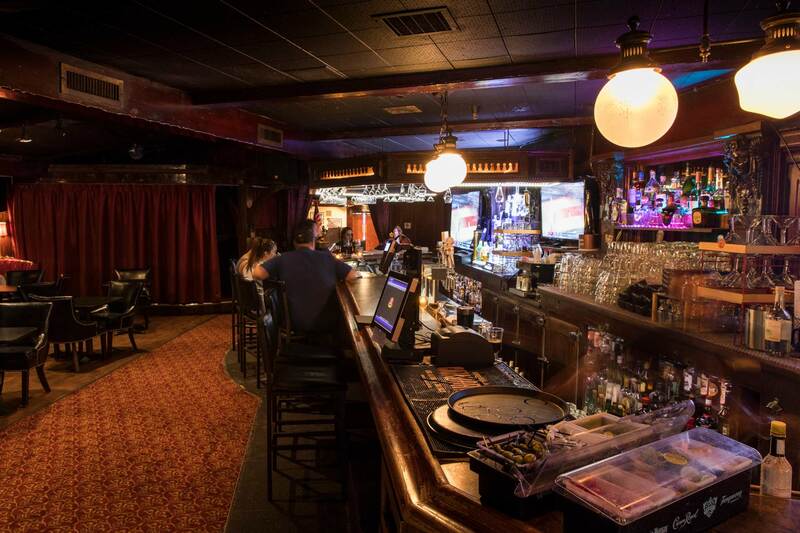 The North Hollywood taproom became a flamenco bar in 1972 and an L.A. historic-cultural monument in 2010. 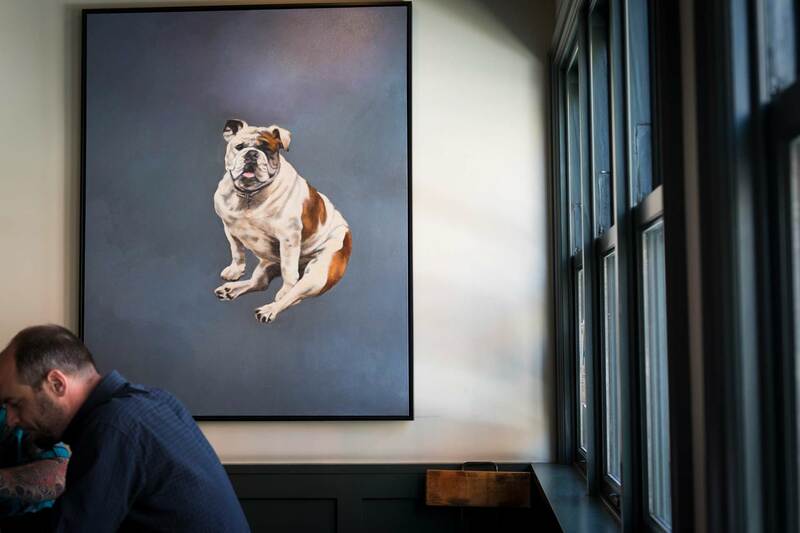 Restorers, using black-and-white photos, returned Idle Hour to its former glory and it reopened in 2015. Photo by Daniel Deitch. Happy hour: Daily, 3 to 7 p.m. $7 drinks include Old Fashioneds, Collinses, Palomas and Moscow Mules. $6 well drinks; $2 off all beer. Menu includes Buffalo cauliflower, $5; sloppy fries, chicken sliders and pretzels with pub cheese, $6 each; Buffalo wings, $7. 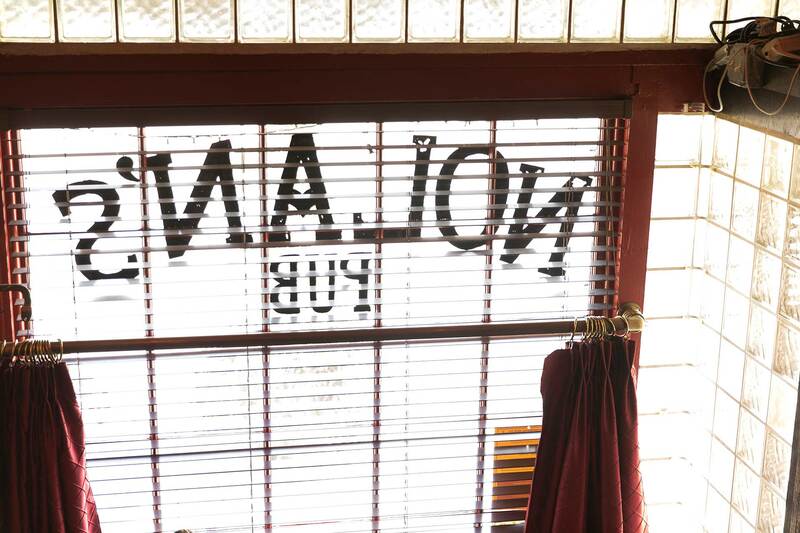 Notable: Idle Hour is a standout, literally. 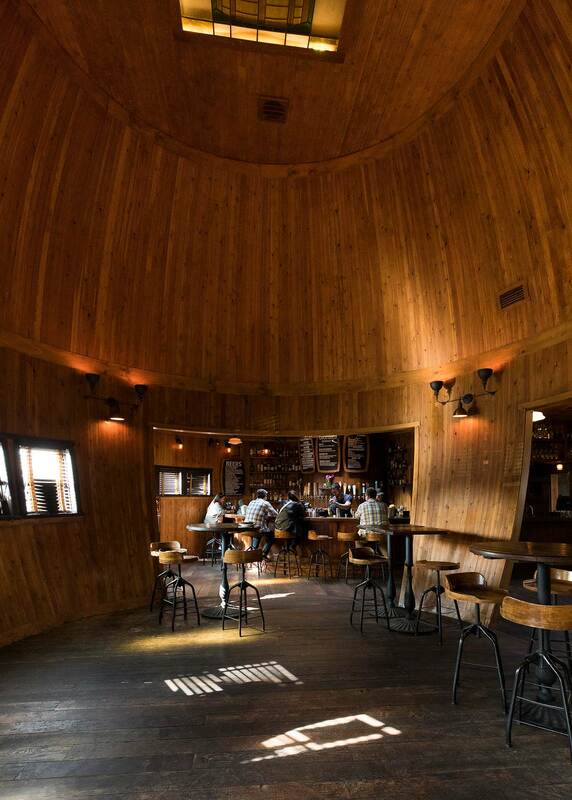 Its barrel-shaped building is a Los Angeles historic-cultural monument. Spacious tree-covered courtyard. Monday night poker in the Bulldog on the patio starts at 6:30 p.m., just early enough to take advantage of happy hour. 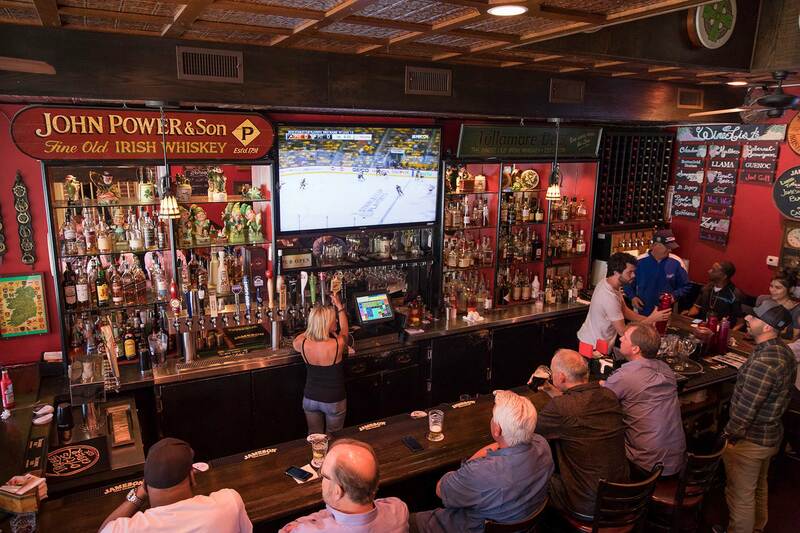 Happy hour: Weekdays, 3 to 7 p.m. $3 Bud Lights; $4 well drinks. Happy hour menu from 3 to 5 p.m. and 10 to 10:45 p.m. 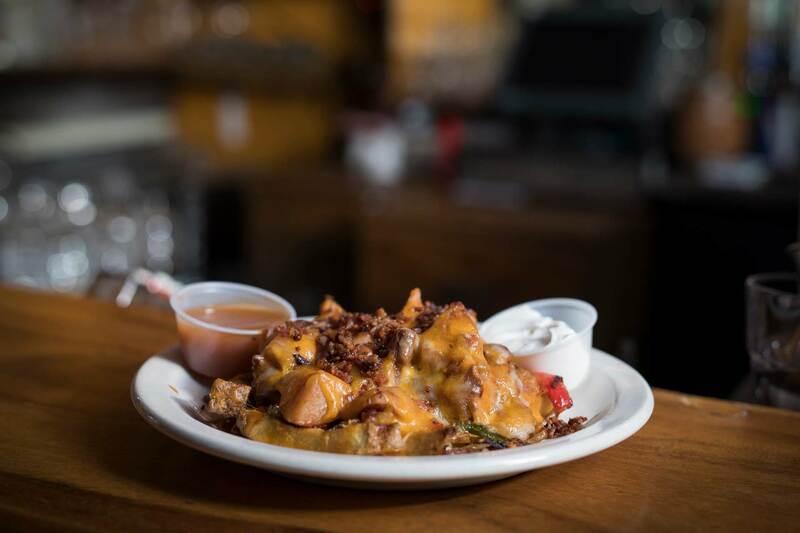 Items available include $4 to $5 appetizers such as Irish nachos, fried wee pickles and bacon cheddar potato skins. 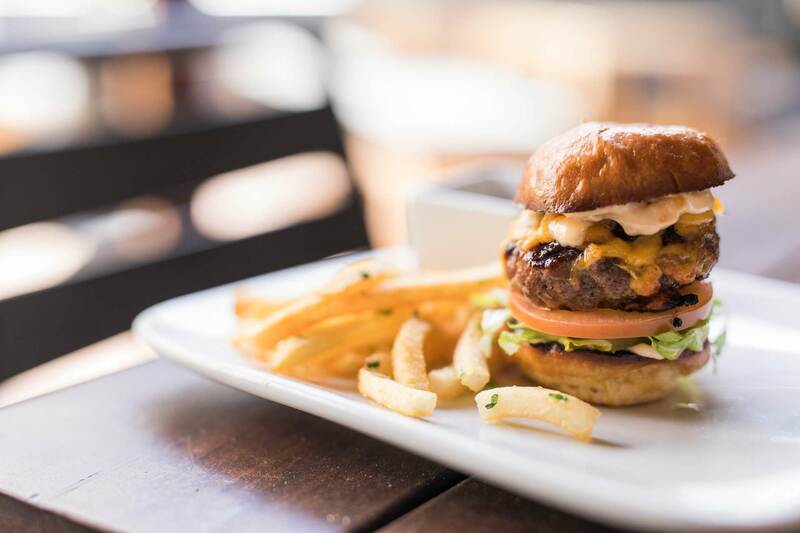 Notable: Irish bar with complimentary “family meal” — such as pasta, potato wedges or sliders — at 4 p.m. “Industry” happy hours on Thursdays. 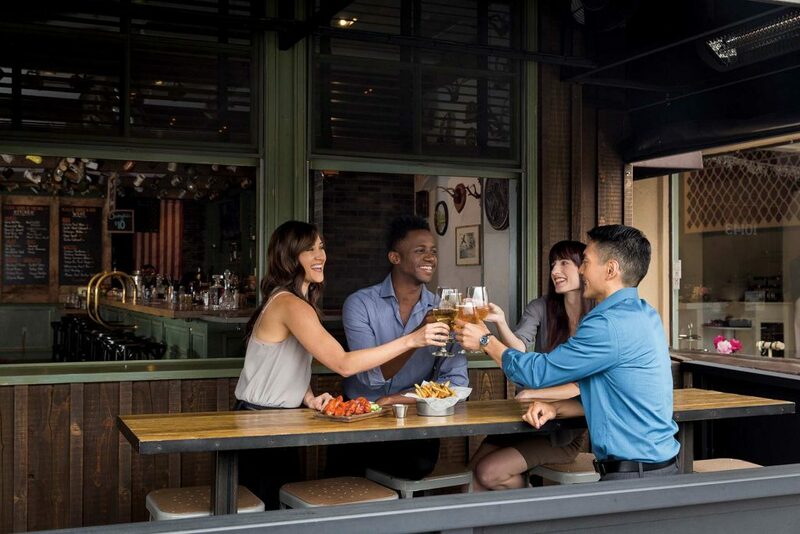 Happy hour: Weekdays, 4 to 6:30 p.m., bar and patio area only. Tapas and wine. $4 Cerveza Quilmes; $7 mimosas and sangrias; $6 wines. Appetizers such as chorizo sandwiches, ceviche and tagliata run $7 to $9. $12 cheese and charcuterie platters. Dine-in only. Notable: Elegant Argentinian restaurant with patio. 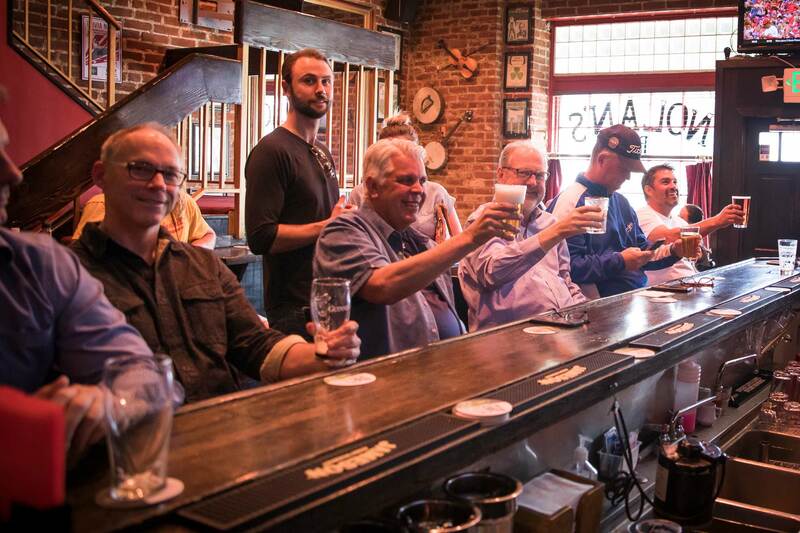 Happy hour: Weekdays, 4 to 7 p.m. $4.50 pints and $1 off wine and well drinks. Appetizers such as beer-battered mushrooms, sausage rolls and Scotch egg are half off, $3.50 to $7.50. Dine-in only. Notable: British pub with good selection of beers. Dog-friendly patio. Monthly Doctor Who happy hours with episode screenings and $4.50 draft beer. Happy hour: Tuesdays, 4 to 7 p.m. All tap wines, $5. Food ranges from $4 truffle potato chips to $15 cheese and charcuterie plates. Notable: Clean and spare interior; 21 and older only. Small outdoor sitting area available. Happy hour: Daily, 4 to 7 p.m. $5 draft beer and well drinks; $3 off tostadas, asada fries and all other appetizers. Notable: Specials include Margarita Mondays, $3 all day, and Taco Tuesdays, $1.50 crispy tacos all day. WITH A KICK Stephanie Clark pours a Dog Bite at the Fat Dog. 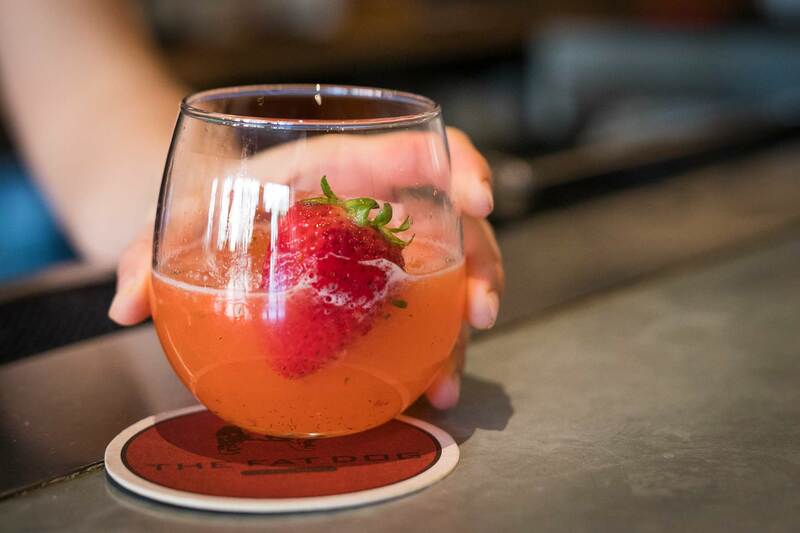 The drink is jalapeño-infused tequila with strawberry, lime, agave, cucumber and cilantro. Photo by Daniel Deitch. 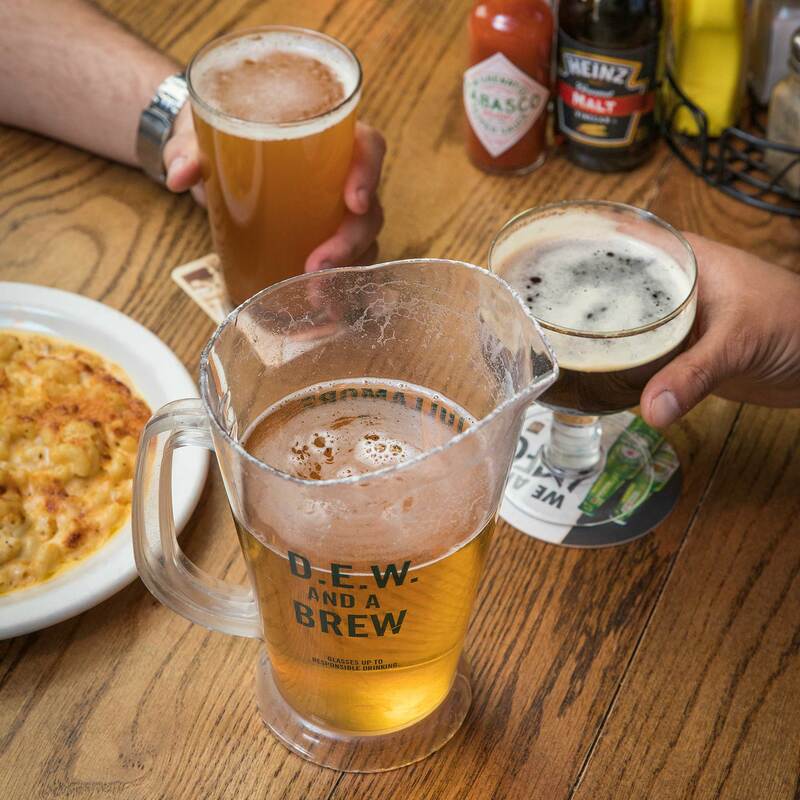 Happy hour: Weekdays, 3 to 7 p.m. $4 pints: Sudwerk pilsner and Wrought Iron IPA. Bottled Coronas and Angry Orchard hard cider, $4; house red and white wine for $5; well drinks for $6. Appetizers include Swedish meatballs, fried cauliflower, mini corn dog, fried chicken thigh, hot wings, $3 to $7. Dine-in only. 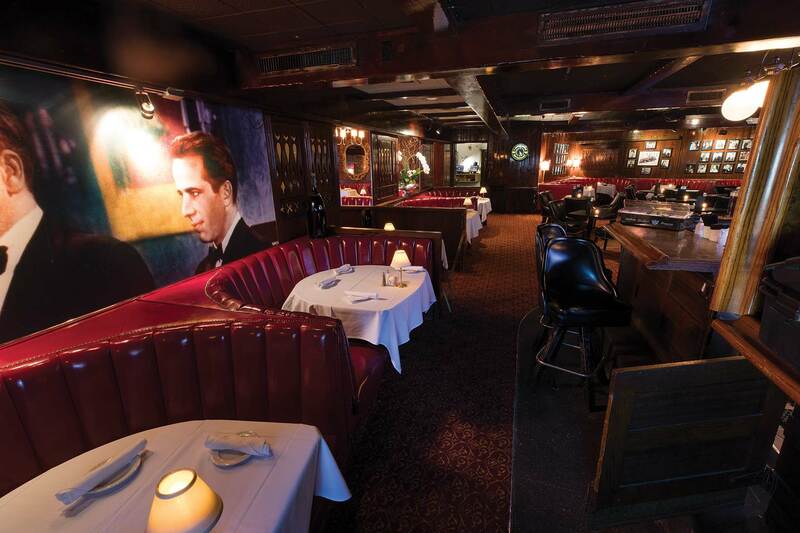 Notable: Casual atmosphere, with an outdoor seating area. 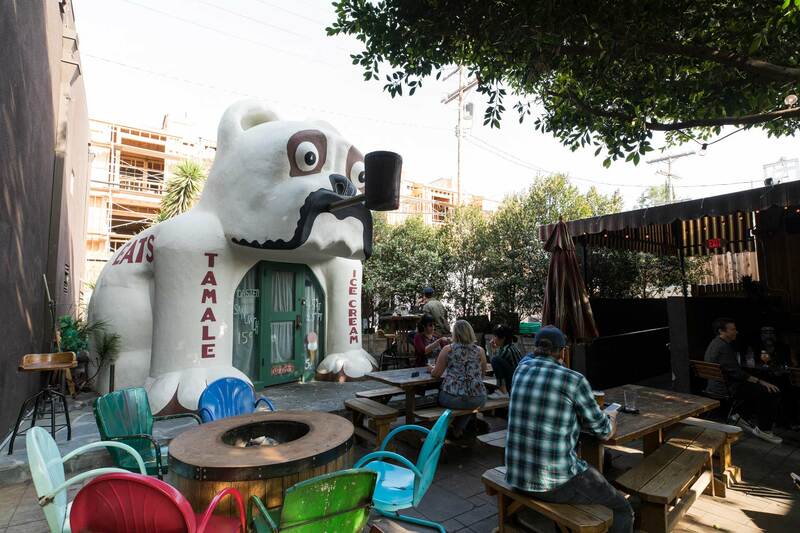 As befits its name, Fat Dog welcomes dogs (on a leash) on the patio. 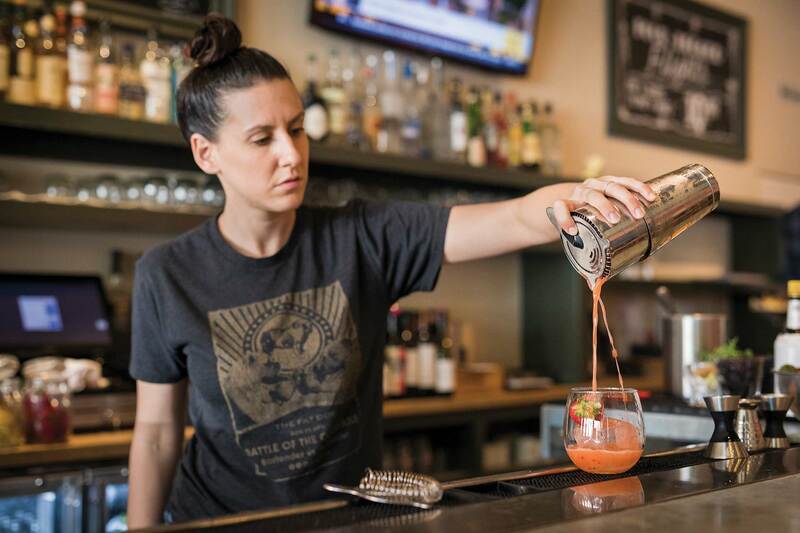 The $8 drink of the day, a custom cocktail created by the bartender, has included the City Dog, which is vodka-based with lemon juice, agave and blueberries. Happy hour: Daily, 5 to 7 p.m. Cocktail specials includes Chief Lapu Lapu (light and dark rums, orange juice, lemon juice and passionfruit), Eastern Sour, Lychee Luau and Dark and Stormy (dark rum floated over ginger beer over crushed ice). All $7. Notable: Tropical-themed bar with pufferfish lanterns, thatched booths and bamboo. No food. Happy hour: Weekdays, 4 to 7 p.m., at the bar and lounge only. House deep-dish martinis with vodka, gin, rum, tequila, Scotch or bourbon, $9; all beers on tap, $5; wine, $6. Appetizers include calamari, crab-stuffed mushrooms and fried pickles, all $7. The restaurant’s popular garlic cheese bread is $3.95 for a half-order. 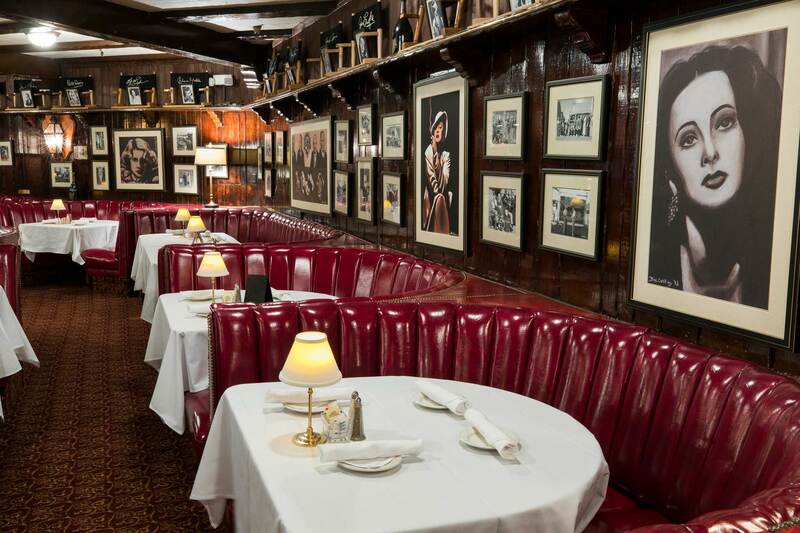 Notable: Classic steakhouse with red booths and old Hollywood décor. Happy hour: Daily, 4 to 6 p.m. and 10 p.m. until closing. Available for dine-in only at the bar, deck and lounge. $4 beers, including Hell or High Watermelon, Drake’s 1500 and Ace Pineapple; $6 well drinks; $7 wines; and $7 to $8 cocktails. Appetizers range from $4 chorizo deviled eggs to a $12 ground short-rib burger. Notable: The Front Yard is in the Garland Hotel. Free three-hour parking with validation. 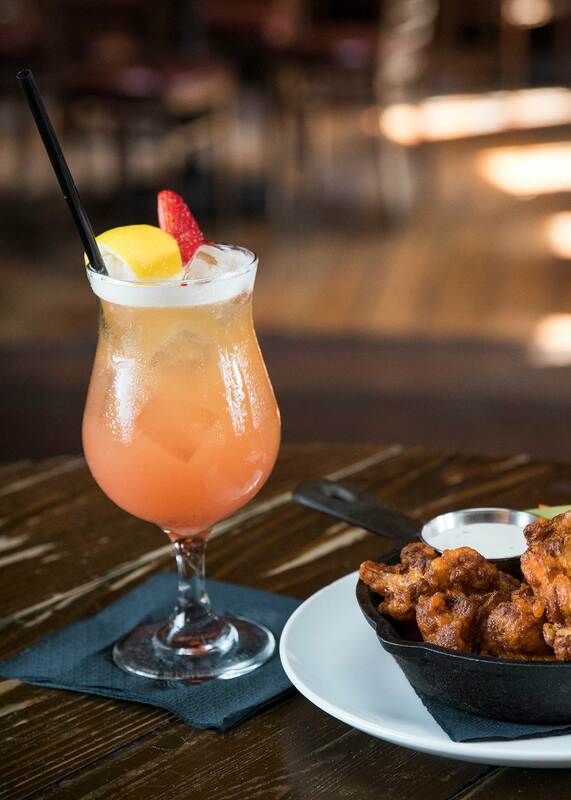 Happy hour: Weekdays, 3 to 6 p.m. Cocktails (Mountain Man, a whiskey-forward drink, and Freshest Margarita, a skinny margarita) and wine, $6; select drafts, $5. Food offerings are Louisiana smoked chicken wings, $6; fish tacos and fried chicken sliders, $3 each; meat and cheese board, $8. 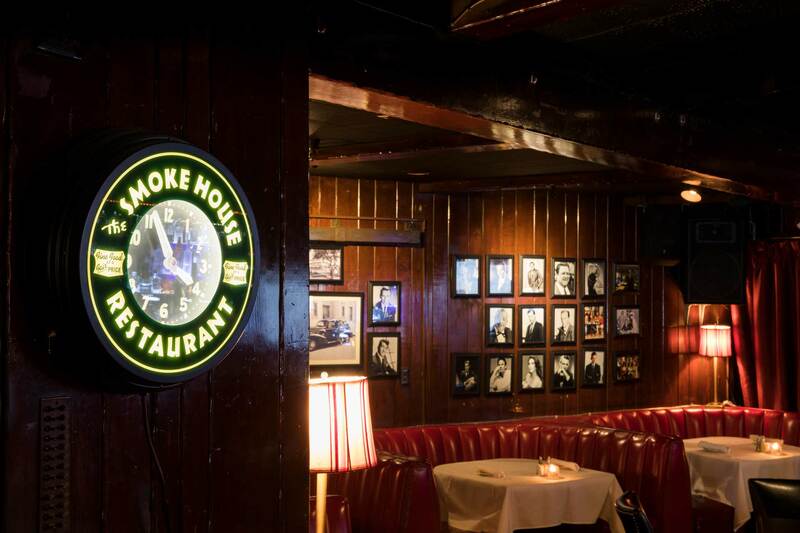 Notable: Extensive selection of whiskeys, bourbons, Scotch and even Japanese selections. Spicy pineapple margarita. 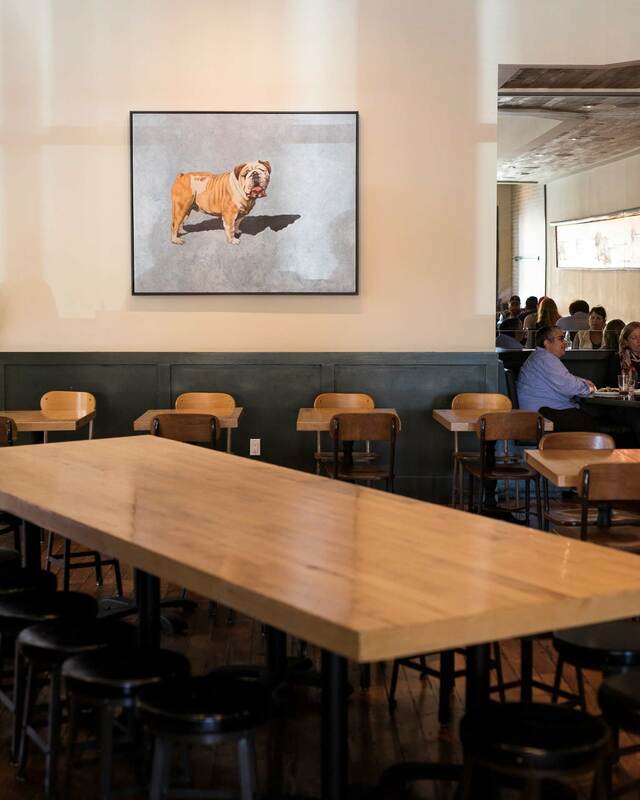 Place your order at the bar and seat yourself at the communal tables inside or outside. Happy hour: Weekdays, 4 to 7 p.m. Select beers, $5 to $5.50; wine, $6. Cocktail special changes daily and has featured $5 sangrias and $8 La Rosa margaritas (house-made hibiscus-infused tequila with house-made sour mix and citrus salt foam). Among the appetizers are grilled street corn, $4.75, and jalapeño poppers, $5.25. Notable: House-brewed beers. Casual ambience. Patio. Happy hour: Weekdays, 4 to 7 p.m. $2 off full pours. $2 off wine, draft and canned beer and cider. Bites include pretzels and empanadas, $2 to $6.50. Notable: Patrons can bring in their own food. 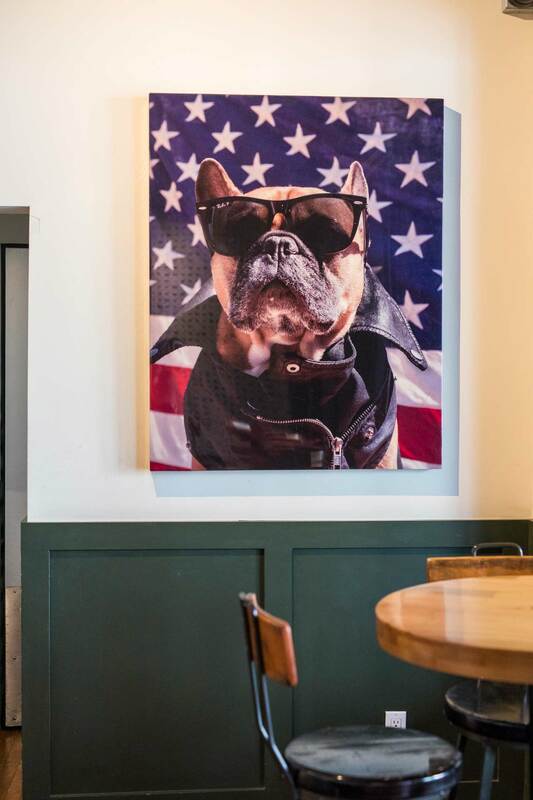 Special events include craft beer and doughnut pairings. The former Jimmy’s Place plans to add a small patio soon.